TED Talks have become a premier platform for trailblazers in every field to share their wisdom with the world. And one major perk is that it is free for all. With a strong belief in sharing ‘ideas worth spreading,’ all anyone needs is access to the internet and a will to learn to get the best these brilliant individuals have to offer. These talks provide some world class advice for content marketing, particularly for those looking to break into the diverse and colourful Southeast Asia market. Here are but a few innovative and inspiring talks to influence your strategy. You can do well online. But no longer is the message coming from just the top down. If you want to succeed you’ve got to be okay to lose control. Reddit co-founder and Executive Chair Alexis Ohanian gives a funny yet touching talk on the real-life fable of one humpback whale’s rise to web stardom. Through the efforts of Greenpeace and Reddit, Mister Splashy Pants was saved from Japanese whalers. It goes to show how much of an impact a campaign can do. When producing content, audiences must be engaged. Content must be genuine and authentic. As Ohanian says, “the internet provides a level playing field” so creators don’t have to be afraid to take chances. Audiences love authentic content that speaks directly to them. The best stories infuse wonder. American film director Andrew Stanton, the man behind animated films like Finding Nemo and Toy Story also discusses engagement in his TED talk “The Clues to a Great Story”.“Use what you know. Draw from it. It doesn’t always mean plot or fact. It means capturing a truth from your experiencing of it, expressing values you personally feel deep down in your core,” he says. A tip that comes in handy when crafting a story with your brand. How Does It Relate To Southeast Asia? In fact, a study in 2016 conducted by ad tech firm Unruly found Southeast Asians are less cynical of advertising than Western consumers. Respondents reacted more emotionally to online video advertising. Playing on this is a good start in creating content which resonates with the market. by ad tech firm Unruly shows that Southeast Asians are less cynical of advertising than consumers in the West. They were shown to respond more emotionally to online video ads across all emotion types. Creators should keep this in mind when producing content for the SEA market. So what you need to do is figure out who does care. Who is going to raise their hand and say, “I want to hear what you’re doing next,” and sell something to them. 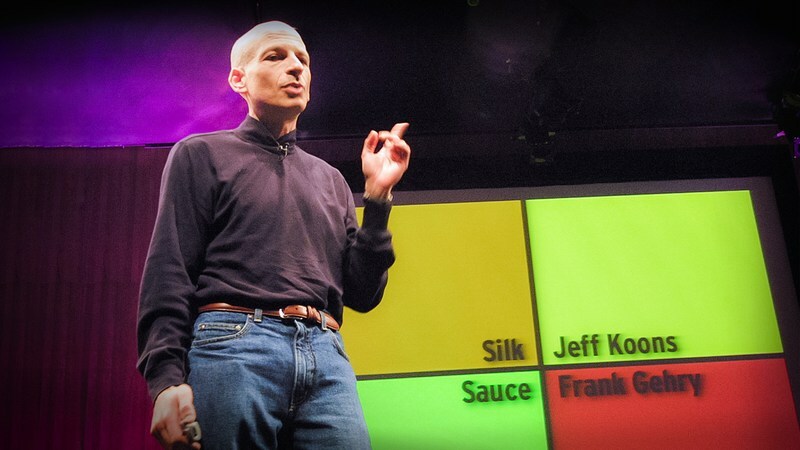 Marketing guru Seth Godin passionately speaks about grabbing attention with bizarre and fresh ideas, rather than stick with the clichéd and dull. In 2013, he predicted the web would fundamentall change marketing and many years later, the internet has indeed revolutionized content marketing. With no one avenue for information, getting brands out to the best audiences can be an arduous task. Godin encourages content producers and brands to fully understand the target market. Going that extra mile ensures connecting to the right audience. He also emphasizes the importance of targeting messaging to those who are interested. It can be tempting to market broadly to a large audience, but Godin says “you sell to the people who are listening, and just maybe, those people tell their friend.” Nothing is as trustworthy as word-of-mouth. “One person at a time, the idea spreads,” he says. According to a survey conducted by Nielsen in 2015, 88 percent of consumers across SEA place the highest level of trust in word-of-mouth recommendations. Filipino consumers led the survey with a whopping 91 percent. Creators can be subtle in their strategy, finding an idea to spread and reaching out to a chosen niche, the passionate few genuinely intrigued by what is on offer who will in turn help market to others through word-of-mouth. To break into the growing Southeast Asian market, an effective content marketing strategy is vital. Whether it’s crafting compelling stories for your brand, or reaching out to audience through engaging content, Content Collision can help your brand get started. What Does Singapore’s Rise in Freelance Jobs Mean for Content Producers?